The market situation on UK property marketplaces for bridge loans with high interest rates has turned drastically in the past 2 months. For a long time before there has usually been much more investor demand than could be soaked up by loan demand. That the situation has changed is most visible on the loans on offer (mostly through the secondary markets). 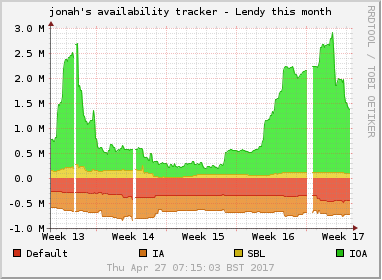 There is currently nearly 8 million GBP on offer on Lendy (that was close to nil 8 weeks ago). At Moneything there is 2 million GBP on offer and at Fundingsecure 0.6 million GBP. Collateral recently raised the interest rate for new loans from 12 to 14%. So what is causing this change? I will look at possible causes and measures the marketplaces could take to react. Building activity and property prices are influenced by the economy. This Guardian article says UK house prices fell three month in a row. Should investors think, the economic climate is cooling down, they might be more cautious as loans to property developers would be affected in a downturn. Loans that are more than 180 days overdue are categorized as default loans on Lendy. 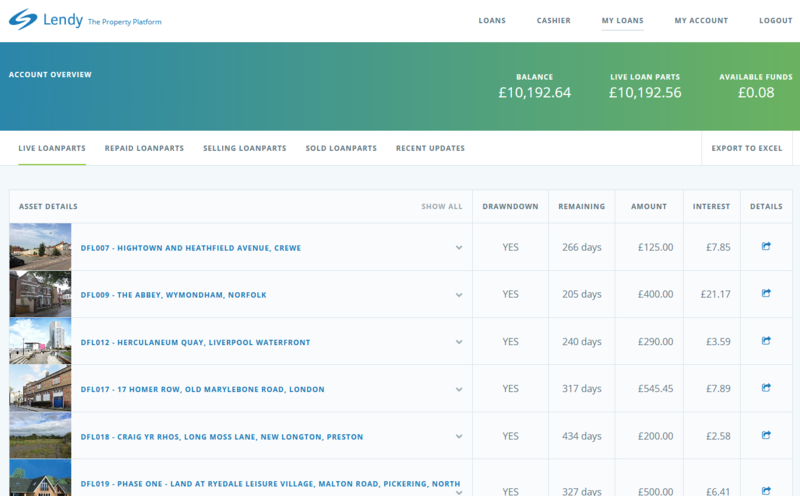 There are now 19 loans in default, with the total loan amount in these loans adding up to 23 million GBP. While this does not mean that money will be lost – the loans are secured by the property, it makes investors cautious and hesitant, asking more questions about valuations and collection procedures. Part of the attraction of Lendy and Moneything in the past (aside from the high interest rate) came from the fact that loans could be sold very fast, usually within hours for most loans that were not overdue. That has changed on Lendy and might be currently changing on Moneything. However with the queues for sales building up on Lendy it is too easy to just look at the nearly 8 million GBP on offer and deduct that it takes very long to sell loans. Not all loans are equally liquid. I sold 400 GBP of DFL025 recently. Despite over 35,000 GBP in the queue before me, my part sold within 3 days. A major factor with the longer selling times is that on Lendy, investors forego interest while the loan part is on sale. On Moneything it continues to accrue interest while on sale. That is my favourite explanation. The shift in the above markets 2 months ago coincides with the launch of many IFISA offers on other UK marketplaces. Lendy, Monything and Collateral currently do not offer IFISAs. Check the database for best IFISA rates of other marketplaces. Fundingsecure has an IFISA. I am not currently investing on Fundingsecure, therefore I am not as closely monitoring the market developments on Fundingsecure as on Lendy or Moneything. But it seems that investor demand on Fundingsecure has not changed as much as on Lendy or Moneything. It is obvious that UK investors will prefer to invest in IFISA offers, at least until their yearly allowance of 20,000 GBP is reached. All of the above platforms are open for international investors. I currently run a survey among German speaking investors on my German p2p lending forum. 31% precent of respondents have already invested on UK marketplaces. But 5% want to reduce their level of investment because of the uncertainty of the pound development and for this reason 20% will not consider to start on UK marketplaces. So what could marketplaces do and what measures are they already taking? I believe this is already happening. Lendy revamped the referral program as of June 1st and Collateral announced it will launch one soon. Lendy will sponsor the ‘Lendy Cowes week’ sailing regatta. I have doubts this will be cost effective, but its hard to tell from the outside without access to hard figures. I know of other p2p lending platforms that sponsored golf events in the hope of targeting and attracting the right audience and discontinued that (for reasons unknown to me). Actually I think this would most profoundly change the situation for Lendy. However for that Lendy first needs to get full FCA approval. Moneything has recently said it has put an IFISA higher on the priority list, but it is still not imminent but planned for later this year. This could be institutional money. Or a differently structed offer like the Lendy bond. But it is to early to tell how the Lendy bond is taken up. Collateral has taken this step. And Moneything offered 1 percent more on a very large loan. I don’t think Lendy will take this route as it recently moved from 12% interest for all loans to a broader range of 7 to 12% interest rates. Lendy and Moneything currently have secondary operating at par value. The investor community seems split. While some applaud the simplicity and ease of use of this model, others argue to allow discounts (and possibly premiums). One argument for discounts and premiums is that it might better match demand and supply. Counterarguments are that p2p lending is not a high volume market and variable pricing would not be suitable and that premiums will attract traders. Also some feel that seeing discounts will furthermore undermine trust and deter new investors from signing up. Obviously full recovery on defaults would be a most effective measure to increase confidence and trust of investors. However this will take time and I don’t think haste would do the results good. Therefore the only thing Lendy could do short-term is communicate more and in more detail. P.S. : On the continent at Estateguru with its 10-12.5% interest property loans there is no change of market conditions. Investor demand continues to outstrip loan supply. What was formerly Saving Stream is now called Lendy. The operator of the marketplace has been Lendy Ltd. already, it was just trading as Saving Stream for investors. Now under the new domain Lendy.co.uk the company has brought together its services for investors and borrowers citing feedback by users. There is some speculation that rebranding could have been necessary as a prerequisite to full FCA authorisation as the FCA may have objections to the “Savings” in the old name. Following feedback from users, we are integrating the Saving Stream platform under the Lendy brand. This is in order to simplify the brand and make accessing the crowdfunding platform easier for all our clients. Features on the refreshed site include a new Help Centre, with an extensive FAQ section and glossary. We’ve also added all of our recent news into a new Customer News section. The rebrand has been guided by platform users who were very positive about the Lendy brand. We hope you like it. The Saving Stream website will be redirected to the new Lendy website in due course. While the new brandname is short and fitting, I note that it is somewhat close to other offers in the p2p lending space e.g. Lendix or Lendit. There even is a p2p lending marketplace in Lithuania named Lenndy (double ‘n’).